Services like Uber, Taxi Magic, Cabulous, and SideCar are completely disrupting the way we get around our cities. But almost all of them use private services, excluding the city’s public transportation. But a new startup has joined the pack of transportationally gifted companies, and (wait for it) with New York’s infamous yellow cabs. No joke. It works almost identically to Uber, except that the broadcast you send out when you hail a taxi appears on the yellow cab driver’s smartphone or tablet. 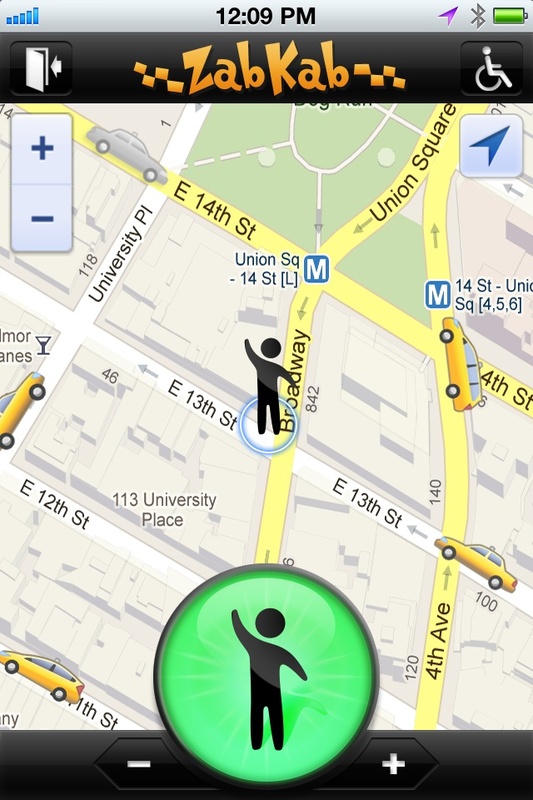 You tap a button, and then watch all the cabs in your area move on the map in real time. Yellow cabs are available, grey cabs have a passenger. But the genius here isn’t in the passenger version of the app; it’s in the driver version. To comply with Taxi & Limousine Commission regulation, the driver can not look at the app’s display while moving. Unless the car is at a standstill, the entire display fades to grey (but will cleverly ping if a new hail has popped up in the area). When the cab isn’t moving, the driver can see anyone who has hailed a fare nearby with pretty excellent accuracy — they can even see which side of the street you’re on. When a passenger gets in the cab and the driver surpasses 5mph, that passenger’s hail gets removed from the board. Right now, over 1,000 taxi drivers have downloaded the app, and that number is sure to grow quickly considering that they spend 25 percent of each shift looking for a fare. Plus, cabbies don’t pay FlatIron on a per-use basis, but rather by subscription. The driver gets the ZabKab Driver app free for the first 60 days, and $14.95/month after that. A three-month subscription costs $12.95/month, while a six-month subscription costs $9.95/month. And all that’s needed to get started is a smartphone or tablet, as the app is available for both in the App Store, Google Play, and the Amazon App Store, with plans to launch on BlackBerry and Windows Phone next.